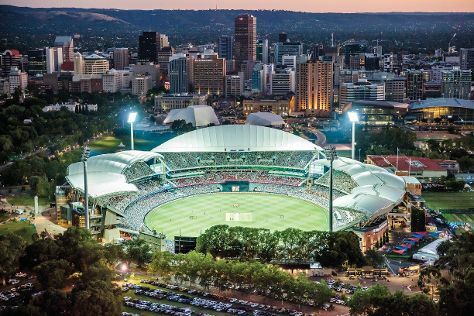 Deepen your sense of the past at sights like Adelaide Oval and The Cedars. Shop till you drop at Rundle Mall and Rundle Street East. Change things up with these side-trips from Adelaide: Aldinga Beach (in Aldinga Beach), McLaren Vale (Primo Estate, Dog Ridge Winery, & more) and Willunga (Hither & Yon & Minko Wines). Dedicate the 25th (Mon) to wine at some of the top wineries in the area. There's still lots to do: hunt for treasures at Adelaide Central Market, learn about winemaking at Seppeltsfield, explore the world behind art at Art Gallery of South Australia, and indulge your taste buds at National Wine Centre of Australia. For other places to visit, photos, reviews, and tourist information, refer to the Adelaide trip planner. In February, plan for daily highs up to 32°C, and evening lows to 19°C. Wrap up your sightseeing on the 5th (Tue) to allow time to travel back home.